Kathy Herman, right, died on January 18, 2016. She is pictured with her husband, Ken. Word has been received of the death of Kathy Herman, a long-time fixture in Grace Brethren offices and the wife of Ken Herman, who worked with the Brethren Missionary Herald Company, the parent organization of GraceConnect, for 33 years. Her obituary appears below. Kathryn “Kathy” Mae Herman of Winona Lake, Ind., died at 12:03 p.m. on Monday, January 18, 2016, at Grace Village Health Care of Winona Lake at the age of 87. She was a 1946 graduate of Stivers High School in Dayton, Ohio, and attended Miami Jacobs Business College for a year. She worked as a secretary for the Brethren Youth Council, Winona Lake Grace Brethren Church, Brethren Architectural Service, and Grace Brethren International Missions, retiring in 1997. Kathy was a very active member of the Winona Lake Grace Brethren Church and Women of Grace. She was also a member of the Winona Literary Club. Kathy was a very giving individual and enjoyed spending time with friends and family, especially her grandchildren. She enjoyed reading, playing the piano, cooking, and music as well. She was born on October 19, 1928, in Dayton, Ohio, to Clyde E. McGown and Ethel Sylvia (Wisecup) McGown. On April 24, 1948, she was married to Kenneth Eugene Herman, who survives in Winona Lake, Ind. Kathy will be lovingly remembered by her two daughters: Judy (husband Dennis) Daniels (Winona Lake, Ind. ); Cindi (husband Don) Fluke (Winona Lake, Ind. ); four grandchildren: Amy (husband James) Tanner (Los Gatos, Calif.); Bethany Fluke (Winona Lake, Ind. ); Lesley (husband Jared) Placeway (Strongsville, Ohio); Kim (husband Jared) Meidel (Lake Hughes, Calif.); nine great-grandchildren; and her sister Mary Ann McGown (Dayton, Ohio). She was preceded in death by her parents and one brother. Visitation will be held from 4:00 – 8:00 p.m. on Friday, January 22, 2016, at Redpath-Fruth Funeral Home, 225 Argonne Road, Warsaw, Ind. A memorial service will be held at 11:00 a.m. on Saturday, January 23, 2016, at Winona Lake Grace Brethren Church, 1200 Kings Highway, Winona Lake, Ind., and officiated by Pastor Bruce Barlow and Chaplain Bryan Benjamin. A private family graveside service will take place at Oakwood Cemetery of Warsaw. 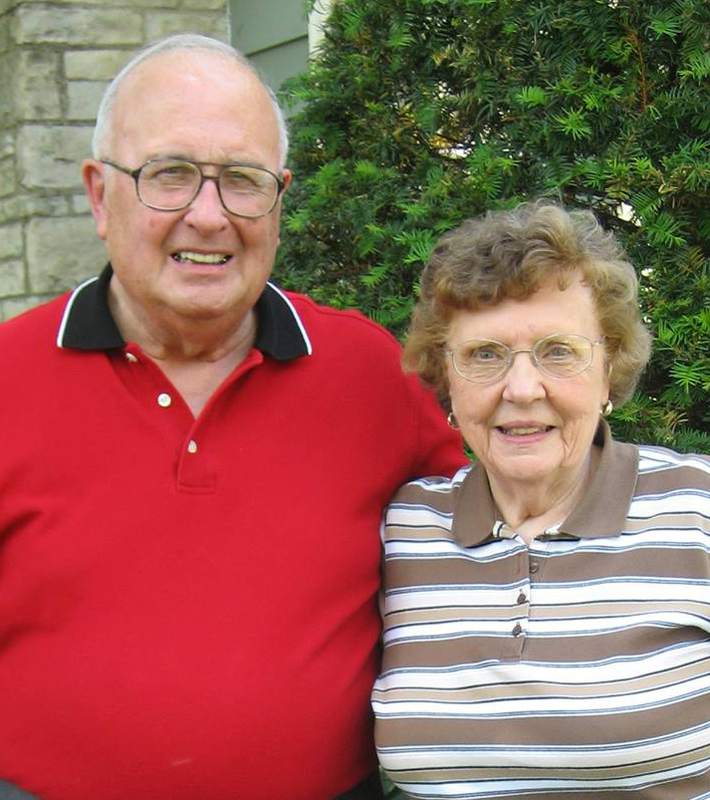 Memorial contributions may be made to Jared and Kim Meidal (granddaughter of Ken and Kathy serving as missionaries at The Oaks Camp with World Impact); c/o Don Fluke, 2503 Western Drive, Winona Lake, Ind. 46590. Sweet memories of Kathy through the years. Special thoughts and prayers for Ken and the family at this time.